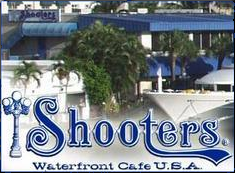 Shooters Will Remain Open Despite Chapter 7 Bankruptcy | The Law Office of Emil Fleysher, P.A. Shooters Will Remain Open Despite Chapter 7 Bankruptcy | The Law Office of Emil Fleysher, P.A. Chapter 11 bankruptcy protection allows a company, or person, to restructure debt with the help of a trustee appointed by the court. Debts are generally not forgiven, but a company is usually allowed to continue to operate, with the goal of becoming financially healthy in the future. Recently, the Chapter 11 filings for Roscoe, LLC and BIMA, LLC have been converted to Chapter 7 filings, which usually signify a liquidation of assets in order to pay debts. But fans of the waterfront restaurant need not be worried. The restaurant will continue to operate, despite the Chapter 7 bankruptcy. The court wants the iconic restaurant to stay open, but with a trustee monitoring the operations.